Deals, sales, promos need to be easy to reward clients or they won’t use them. Reward consumers or if the “deal” is too complicated no one will use it. Another example of a deal that is not really a deal is found on National Coffee Day deals where the simple act of giving away a cup of coffee becomes a matter of downloading your personal information on an app, joining/following/liking the business on social media, or buying another more expensive item. You get the idea that there is no such thing as a free cup of coffee anymore. http://www.businessinsider.com/score-free-coffee-on-national-coffee-day-2013-9 Only Krispy Kreme offered a totally free 12-ounce cup of coffee without any tricks. are useless to me. So the feeling I have about the restaurants is that my business is just expected and not rewarded. Now because I don’t have a big appetite, or eat dinner before 4 p.m. or pay with Black American Express, I get nothing. What do your clients think about you based on the specials you offer? You need to think about that. Offer your clients something that would include and reward every customer with a discount, giveaway or promo item. You can look at these freebies as a waste of money or you can look at them as a little something you’re giving away that is usable like a flash drive. You don’t have to break the bank but you need to be relevant to your clients. The point of an offer is to either offer something free or give a discount. The special should be good without any additional purchases. Don’t complicate it by saying the offer is only good during specific hours, days or using methods of payment. It’s just a simple thank you for doing business. When you offer something that is NOT a deal, it says many things about you and your business and it doesn’t say good things. When you spend thousands of dollars to give clients a special in the mail then you need to be able to deliver a deal that they want. You may as well have not provided the deal if you’re not thinking of your target audience when you created the special. It may say that you’re cheap, selfish, or that you are more willing to put thought into making a deal that doesn’t cost you anything instead of rewarding loyal customers. It may say that you just want more business without thanking the customers who you owe your success to. Everyone likes free and everyone likes giveaways. But free things can be expensive, irrelevant and not representative of your business. For example, if you sell expensive items and you give your clients a pen to “thank” them, they know you’re cheap. You don’t want to reward your best clients with a pen unless it’s a Mont Blanc. 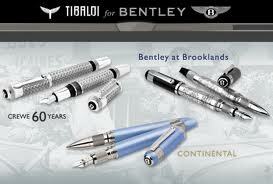 It doesn’t need to be a Tibaldi (Bentley’s line of pens). A gift should be reflective of your business and level of service you provide. 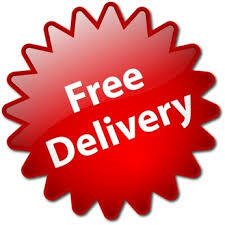 You can look at these freebies as a waste of money or you can look at them as a little something you’re giving away that is usable like a flash drive. You don’t have to break the bank but you need to be relevant to your clients. don’t have to give it to every client, but you should definiely provide it to regular, business-driving clients. Choose a client of the month and rotate the reward you provide or let them choose from a list that you provide. Offer people specials on the anniversary of the day they came on as a client. And always say something to clients on the holidays. 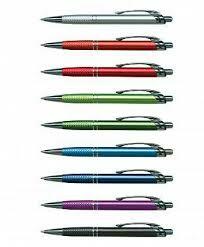 In general, if you offer professional services you should not give away free pens, hats or T-shirts to high end clients. This is why conventions and events offer free pens, hats, T-shirts, flash drives, snacks, bumper stickers etc. Reward Your Customers: You Don’t Have Business Without Them! You’ve probably gotten bad offers in the mail and like, me, have thrown them out after ripping them up because they didn’t work for you or give you any reward. People like and understand simple and straightforward deals that say that you’re trying to thank people for their business AND recognize them AND give them something they VALUE. If you want to keep your clients then provide solid services and great products. When you establish a bond from the start that goes above and beyond by delivering what’s promised and then, a little something extra, it shows that you go above and beyond. Show your appreciation with a reward, a deal, a special, discount, promo that is clear. You don’t have to give products or services away for free all the time to everyone. Choose what you know is valuable and that shows appreciation for having done business with someone. You want to leave a positive first impression on a client with the offers you provide. If you do send out a mailer and you’re providing a deal, be sure that the item is reflective of your business. The Marketing Square includes client reward plans for clients within marketing plans that created. It’s important to recognize and retain good clients by providing great service and products.